The Silver W12 active subwoofer's 500 watt DSP controlled amplifier utilises advanced switch-mode power conversion techniques and superior processing to increase dynamic control and deliver far greater head-room. 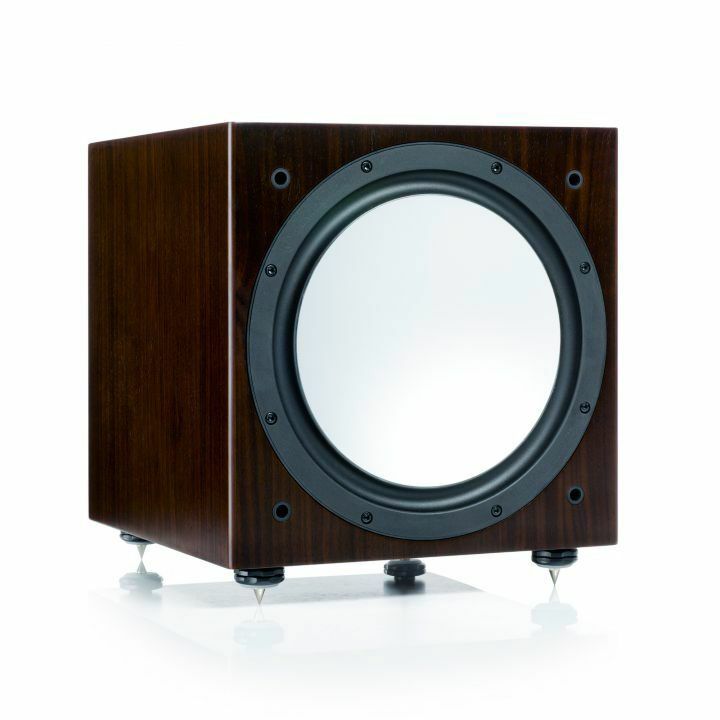 A sealed box construction ensures tight, fast and tuneful bass all the way down to a thunderous 22Hz in a typical room set up. Ultra long throw 12” driver featuring concave ‘dished’ C-CAM® (Ceramic-Coated Aluminium/Magnesium) cone.